So far, 2013 has been a powerful weather year for the weather in Eastern Michigan. Wind and water can really take their toll on homes and commercial properties. While devastated regions typically demand the most national media attention, the damage close to home is all to real and frustrating. 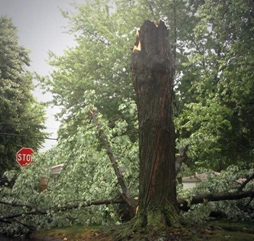 Here in Troy and the Eastern Michigan area, we know the damage a severe storm can leave behind. For example, a June 20th storm packed winds up to 60-70 mph. 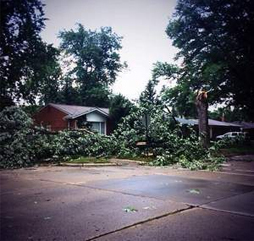 The storm downed trees which took down power lines (and even some poles) resulting in many power outages statewide. Dealing with damage AND having no power is difficult at best, devastating at worst. Just one month later, Mother Nature flexed its weather muscles again with many reports of downed trees, hail and high winds. 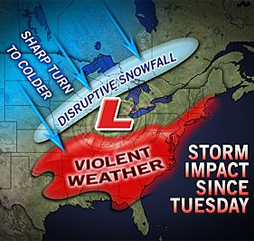 Being toward the northern part of the US, we also get our fair share of disruptive snowfall in the mix of potential damage as well, as experienced in January, 2013. Colorful, yet worrisome forecasts. There is not much we can do about the local weather, aside from respect its strength. But we can do our best to be prepared in the case of a storm emergency. In addition to normal preparedness punch list, be sure to include the contact information for cleaning and restoration services so you can get back to normal as quickly as possible.